Ortofon unveils new £3100 MC Windfeld Ti cartridge | What Hi-Fi? The new moving coil cartridge uses a titanium core and 'the finest diamond in the world'. 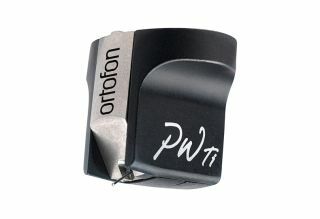 Nearly a decade after its original MC Windfeld was released, Ortofon has redesigned this high-end moving coil cartridge with a host of new technological advancements. Named after Per Windfeld, whose 30-year career at Ortofon included being chief engineer and head of development, the new MC Windfeld Ti moving coil cartridge now uses a titanium core (hence the Ti in its name). Ortofon says this increases the overall rigidity and 'eliminates' unwanted vibrations within the cartridge's body. Other technologies have been trickled down from even higher-end cartridges (such as its £5000 flagship MC Anna). One of them is 'the finest diamond in the world' used in the stylus, the thin, light profile and large contact surface of which allow it to read a track's groove accurately. Very accurately. The cartridge doesn't come cheap: the MC Windfeld Ti costs £3100 and is available to buy now.